I have a real story to share with you, and it’s happening right now. A Fortune 150 client (“Company A”) of mine needed to transform their procurement department. They wanted to hire a rock star to run the department for them. They hired a lady who had moved mountains in procurement at a Fortune 50 company (“Company B”). Company A was thrilled that they landed this lady. She was going to transform how they do procurement. Just in time too, they had a major $100M+ negotiation coming up with a long term strategic and single sourced supplier. Company A gave their new purchasing director the keys to the house. Coming from a Fortune 50 company where she accomplished incredible things, they were certain she would come in and nail this strategic high dollar and high criticality negotiation. They couldn’t wait. She was going to work her magic. For how much they were paying her, she had better work her magic. But something happened, and it wasn’t good. The supplier wanted $120M, and she countered with $13M. Surely this $13M figure was backed by cost models. Or by benchmarking. Or by third party analysis. Or by research. Or by something. Or by anything. That was her strategy. THAT was her strategy. All of it. And the results were predictable. This highly strategic supplier of many years got offended and walked from the negotiating table. Efforts to reconvene negotiation resulted in yelling, name calling, and accusations. It was a complete mess. Finally, the engineering department – The ENGINEERING department – took over and completed the negotiations. And where did they learn how to negotiate? From the myriad of negotiation websites with 1950’s strategies to use, like “good guy, bad guy” and other useless tactics that have no business in our modern day supply chain practices. After this hot mess was over, my client sat down with me and asked me how this all happened. I told them that the person they hired never had any talent at all, and they had confused her results with her skills. And so she wasn’t negotiating at all, she never had actually. And she had never influenced either. The money she was spending and the brand that stood behind her was doing all the negotiating. In the process, she also never learned to influence. She only learned how to issue unreasonable edicts to small desperate suppliers. All she had ever learned – her only skill – was how to exercise authority. The most useless skill of all. And since her exercising of authority worked, she fooled herself, and everyone around her – including Company B – into mistaking her incredible results for incredible negotiation and influence skills. But they were wrong. All of them. And now all parties involved are paying the price – Company B, Company B’s strategic suppliers, and Company B’s new purchasing director herself, who now sits very precariously in a very senior and highly compensated position that she has no business occupying. And she will fall from her throne. And now onto the moral of this very true story. Read this twice: You are spending someone else’s money. A lot of it. The bigger your company is, and the more of their money you are spending, the more likely you are to not develop any influence skills at all, and to fool yourself and everyone around you into thinking you have. I define influence skills as the ability to achieve your objectives with another party not because the other party had to, but because you engaged them in such a way that they wanted to. Do you know who has great influence skills? The purchasing professional working in the medium sized company who doesn’t have the leverage or the name, and has no hope of being successful in negotiations and supplier performance management without development of very strong influence skills. When you start your career, all that mattered was your ability to get things done. And the more knowledge you acquired, the more valuable you were. But somewhere in your career there lies an inflection point. That inflection point is the day when your influence skills are the only thing that will take your career to the next level. If you don’t believe me, ask your boss if you will get a promotion if you get another degree. At some point, more degrees won’t help you. People with superior knowledge get bypassed by people with superior influence skills all the time. Remember when IBM was dying in the early 1990’s? Who was their technical savior that they brought in at CEO? Louis Gerstner from Nabisco. FROM NABISCO, a cookie company. He wasn’t a technical wizard, but he had a vision, and he knew how to influence. So get a mirror and look in it really carefully. 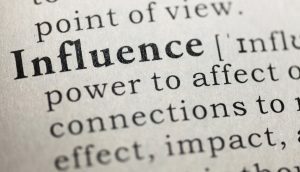 Are you developing your influence skills with suppliers? Or are you only leveraging your spends and company brand? Would your same negotiation strategies work if you worked for a much smaller company, or if you were spending much less? Be careful, because you may just experience a rude awakening, and when you do, your career will plateau, and it may even go backwards… like the new purchasing director at Company B.
Don’t be that person. Develop your influence and negotiation skills and separate them from your company and financial leverage. If you don’t, all you will ever have will be from without and not from within. And you can’t take that to your next job. Just ask Company B’s new purchasing director. Previous post: What do Procurement Execs at IBM, Target, Fujitsu, Toshiba, Bank of America, & Rolls Royce All Have in Common?